Summary: Natalie Cleary must risk her future and leap blindly into a vast unknown for the chance to build a new world with the boy she loves. Natalie’s last summer in her small Kentucky hometown is off to a magical start... until she starts seeing the “wrong things.” They’re just momentary glimpses at first—her front door is red instead of its usual green, there’s a pre-school where the garden store should be. But then her whole town disappears for hours, fading away into rolling hills and grazing buffalo, and Nat knows something isn’t right. That’s when she gets a visit from the kind but mysterious apparition she calls “Grandmother,” who tells her: “You have three months to save him.” The next night, under the stadium lights of the high school football field, she meets a beautiful boy named Beau, and it’s as if time just stops and nothing exists. Nothing, except Natalie and Beau. 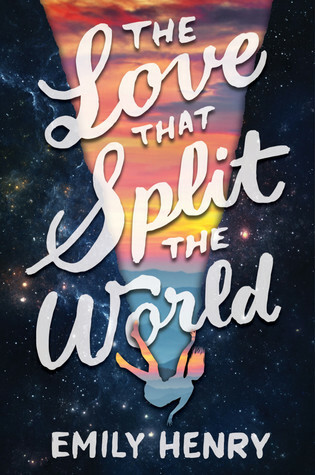 Jessica says: This seems like a super awesome book that I'll really like, and I'm not ashamed to admit that I definitely have some cover lust for this one. It's also super mysterious and creepy - I couldn't imagine being visited by some creepy apparition and being told that I had to save somebody. I could barely prevent myself from getting paper cuts. I can't be responsible for helping someone! Any way, this story seems to be filled with an interesting plot, lots of romance, and a blend of different story aspects that I haven't really read together before. I'm eager to get my hands on this one! !